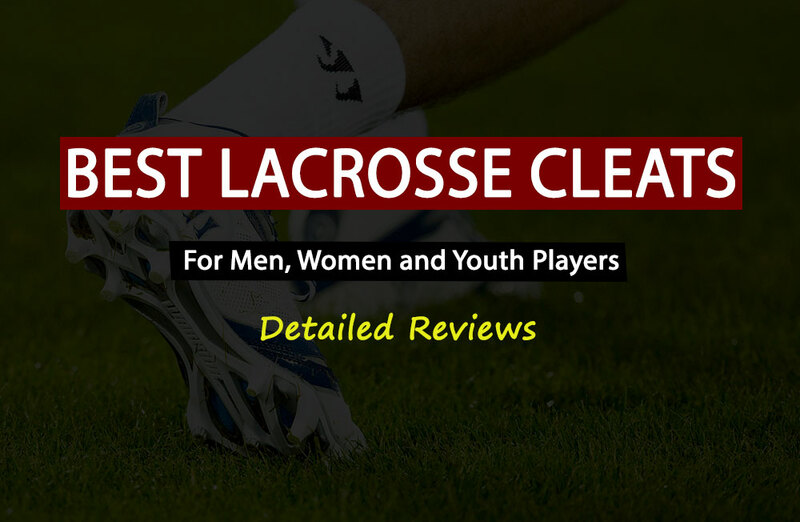 Welcome to the most complete guide on lacrosse gloves on the internet. If you had any trouble finding the right gloves for you, then this guide will definitely help you find exactly what you’re looking for. This guide will show you the best lacrosse gloves in the market today. Looking for a specific glove for attack players, middies or goalies? Or for a women’s lax glove for the cold season? This guide covers all of that. All that you’re looking for is in this page. 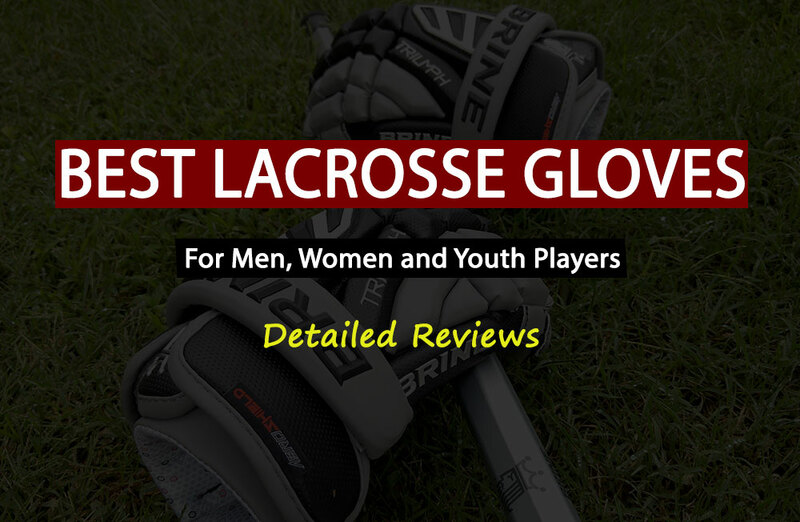 Here below are my top recommendations for lacrosse gloves in every possible situation. What to Look For When Choosing a Lacrosse Glove. In a sport like Lacrosse where hands are used, gloves are easily one of the most important equipment. Therefore, it’s essential to pay extra attention when choosing your lacrosse glove. While there are typically two types of gloves in lacrosse: gloves for field players and gloves for goalies, considerations are essentially the same. The following are some of the considerations to look out for before selecting a pair of lacrosse glove at the store. Before choosing a lacrosse glove, it is important to check out the kind of material that it’s constructed with. Most gloves will have a combination of different materials for the fingers, palm, and liners for maximum efficiency. Finger material is mostly plastic or carbon composites, palms mostly come with Axe suede, Nash or mesh while liners will commonly feature Nylon material. Glove materials ought to be durable and offer maximum protection. For excellent stick handling, glove should have a superb grip. Additional materials such as rubberized inserts are being used nowadays to increase the grip of gloves by manufacturers. Always check out for this to ensure you get a good grip on your gloves. In addition to the protection offered by the glove material, most lacrosse gloves feature contoured and segmented creases throughout their design. This is usually to offer maximum protection as well as flexibility without sacrificing mobility. to move independently of each other. On the other hand, a good way to test protection would be to tap the inserted gloves hard with a lacrosse stick and feel the level of impact. Lacrosse being a fast sport requires a glove with good ventilation because players tend to get overheated. Majority of lacrosse gloves will feature vents at the back of the hand but the best ones should also come with vents located on the front side of the palm. Always check out for these qualities especially if you suffer from sweaty hands. Most lacrosse players suffer from broken thumbs; the gloves they use do not feature adequate protection for them. Gloves with adequate thumb protection offer additional reinforcement and padding to counter the initial impact caused by stick checks. Much more segmentation is also incorporated to boost the thumbs flexibility and rotation. Always test for thumb rotation to ensure it is as close to 360 degrees as possible. You should always go for lacrosse gloves that are of the right size to avert injuries to your fingers. One of the ways to ensure this is to wear the glove and stretch your fingers fully. A small glove will be evidenced by the top of the gusset passing the padding which makes fingers prone to breaking. The bottom of the palm should also be covered completely by the palm material and not exposed. This first part will be dedicated to review men’s lacrosse gloves. We’ll start by reviewing the best lax gloves for field players that you can get in 2018. As you’ll see, most of the gloves below can be used by attackers, middies and defense players interchangeably. STX is famed for its production of gloves which offer excellent against impact. The STX Lacrosse Surgeon 500 does not disappoint since it is specially designed for the elite precision player looking to endure high impact during checking. Featuring the ground breaking and patent pending ISO thumb technology the glove guarantees effortless 360-degree thumb rotation when playing. This is in addition to the carbon fiber reinforcements insert and compression pads which provide unparalleled thumb protection. The glove also contains Axe suede as its principle palm material thereby boosting comfort and durability. The Surgeon 500 gloves are my top recommendation for people who want nothing but the best. These gloves are quite expensive for a beginner. But, I can assure you that they’re totally worth it. The PowerFit profile Provides maximum wrist mobility for quick hands on the stick. Extra protection for the thumb. Constructed with premium and comfortable materials. Another premium lax gloves that I want you to take a look at are the Maverick RX3. 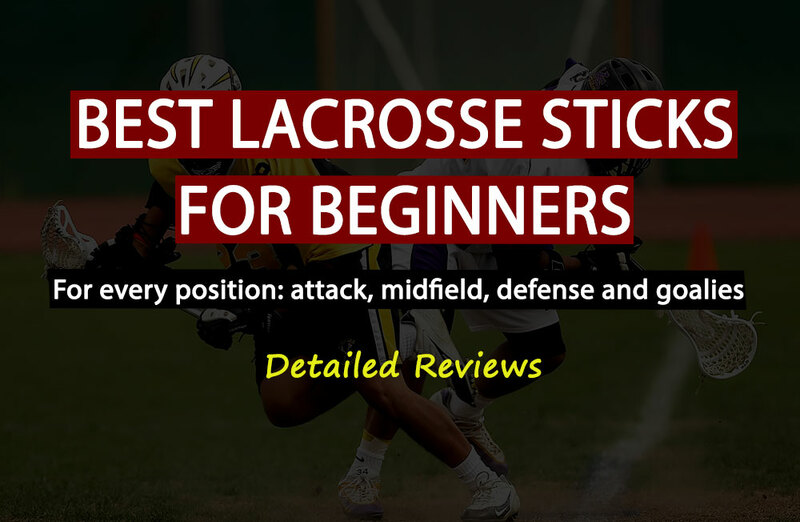 As Maverick is well known in the lacrosse community for their excellent lax equipment. It seems that they didn’t disappoint with this pair of gloves that offers an excellent value for the money. First, you get to choose from a range of aesthetically pleasing colors such as black, red, navy blue, white, gray to royal blue. Second, the RX3 is designed using anatomical speed fit technology that enhances both comfort and guarantees a natural feel over the lacrosse stick. Comfort is further enhanced by the FLOWCOOL backhand ventilation system as well as a liner system which speeds up the evaporation of sweat. Gloves feel comfortable and soft. Axe suede material enhances the durability of the glove. Offer great protection to fingers. The third glove I’ll be suggesting are Nike’s Vapor lax gloves. It’s unusual for Nike to create products for the sport of lacrosse. But, with this product, it seems that Nike used the sum of its experience in sports equipment product to come up with an excellent pair of gloves called Vapor Elite. gloves that feature a predominantly white color combined with blue, red, and black stripes. These gloves are specially designed for advanced players who play professional and college lacrosse with all the high-end features it comes with. The Vapor comes first with a low profile fit that makes for maximum comfort and flexibility. The 3 split finger design, as well as the 4 part cuff allow for maximum finger and wrist mobility respectively. You are also guaranteed comfort in case the game heats up courtesy of a Dri-Fit liner that controls moisture keeping your hands cool and dry. This is in combination with the vented backhand as well as palm area. Excellent breathability owing back and front-hand venting. Offers a natural feel for stick handling. Brine is at it again with the super amazing Brine King Superlight 2 which looks like a follow up for the superlight from two years ago. Featuring different brilliant colors from blue, orange, maroon to forest green, these gloves are sure to satisfy every aesthetic taste and preference you might have. These gloves come with upgrades from the previous version such as a new palm design as well as Truvent technology backhand venting. This ensures the gloves offer a much more cooling effect while playing. The gloves also feature a floating cuff that enables player scoop ground balls much more easily. In overall, these gloves can be a good option for people who have a limited budget. They offer an excellent value for the money you’re paying. However, I wouldn’t recommend them for more advanced players. Has a spacious interior that allows extra mobility. Additional texture for better grip. Extra durability and resistant to impact. Feature patented Truvent technology for additional ventilation. Excellent price that makes it a perfect choice for beginners with tight budgets. In this section, I’ll talk about the best lax gloves that worth your money for the position of the goalie. These gloves were made especially for goalies to help them have a perfect control over the stick and stop the ball from entering their goals. Here below are two gloves which I recommend the most. The Brine King Superlight III can only be effectively summed up by two words: “five-star”. The Superlight III is destined to be one of the best lacrosse goalie gloves in the market this year. These are premium gloves that provide both protection and optimal control. These gloves come with a backhand design as well as a break pattern that makes it look absolutely fantastic. Brine has also incorporated addition thumb back and tip protection in the Superlight III using a new lock-thumb design. Faux leather famed for being lightweight and soft is used on the body while palm material is predominantly Axe Suede. In overall, these gloves are my first go-to recommendation for goalie players who are serious about lacrosse. It simply doesn’t get better than this. Comes with backhand vents for breathability. Another amazing goalie gloves that had to be in this list is the Maverick Rome NXT that were made with the goalie’s needs in mind. If protection is your main concern, then these gloves are exactly what you’re looking for. A goalie’s gloves need to have extra thumb protection as compared to your normal lacrosse gloves. This is an area that Maverick has seemingly continued to focus on its range of goalie gloves and the Maverik Lacrosse Rome NXT is no exception. With the patented TorqueLOC technology which allows a player to bend the thumbs tip forward but prevents it from moving back, the goalie is guaranteed a total protection that is not intrusive to outlet passes and save movements. The thumb reinforcement frame that runs from the top of the thumb to the beginning of the wrist effectively protects parts of the thumb that other gloves don’t. Other aspects of this glove which stand out include FLOWCOOL venting technology for maximum cooling and ventilation as well as the use of the XFOAM impact resistant foams used to pad these gloves. They come with a floating and fixed cuff for added wrist protection. I do think that it’s important to understand the difference between men’s glove and women’s glove in the sport of lacrosse before moving to talk about best women’s lacrosse gloves. 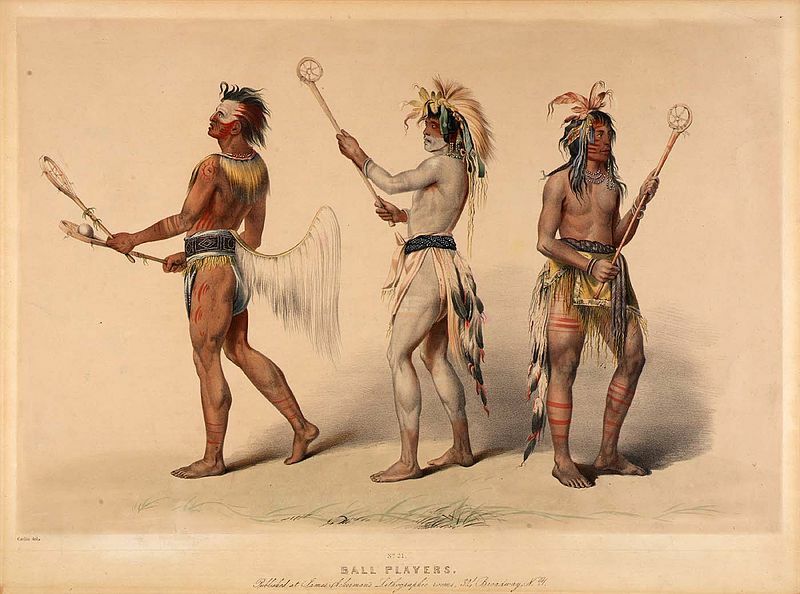 Lacrosse for men and women is different in its gameplay, rules as well as equipment. For women, lacrosse gloves are allowed but are not mandatory, this in stark contrast to men’s lacrosse where gloves are mandatory. This can be explained by the fact that women lacrosse is a non-contact sport while men’s lacrosse requires physical contact quite often. Women gloves are much more lightweight when compared to those worn by men. This can be attributed to the choice of material used in construction. Gloves for women feature lightweight and thin padding as compared to men’s gloves that have increased padding as well as hard plates along the thumb and back of the hand. This is because it is less likely to have the hand getting injured in women’s lacrosse as checking and slashing is illegal. Women’s gloves are smaller in size as compared to men’s gloves, which can be attributed to the fact that most women have smaller hands than men. Most hand accidents in the women’s game occur as a result of inadvertent checking as well hits from the ball. One should always go for gloves that offer you adequate protection from such injuries. Gloves offer additional grip on the lacrosse stick thereby improving performance on the field. If you feel a little fidgety on the stick always go for gloves with textured fingers and palms at the point of contact. This is the most important thing. Playing in cold weather such as in winter has been known to cause frostbite on exposed or poorly insulated fingers. This is the reason why you should always go for gloves with the right insulation that keeps you warm in cold conditions. In summer, you should wear gloves that offer good ventilation. However, don’t worry about any of that. We got you covered. Below are the best gloves for women in every season: summer or winter. I did a lot of research on this to find the best value-for-money lacrosse gloves for women that are available in the market in 2018. These gloves below are made for the cold season. These great gloves from Brine are specially made to maintain peak performance for women lacrosse players during the cold session. Most reviews on the interent say positive things about this pair of gloves. With features ranging from a fleece lined palm and backhand for adequate warmth. A compressed molded foam on the outer hand to provide maximum protection from impact as well as an Ax suede feel palm for that natural feel on the stick. Bottom line, this is a wonderful pair of gloves that will help you boost your performance in lacrosse games during the winter without having to worry about cold weather. I totally recommend them. They come in an attractive and aesthetically pleasing black color with light blue stripes on the backhand. Provide adequate warmth in cold conditions. Offers excellent protection from checks and ball hits. Are a great fit and offer a natural feel on the stick. When the temperature drops, you can always be sure to rely on the STX Frost Winter Gloves from STX. The gloves interior is lined with a fleece interior that is sure to keep you warm even in the coldest conditions. The Frost Winter can also be described as aesthetically attractive as it comes with an interchangeable closure for that personalized feel. Comes with textured palms and finger surface. The glove is very comfortable and warm in cold and wet weather. Has a lightweight and low-profile design. 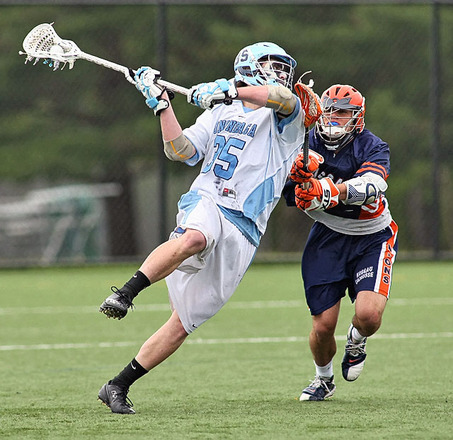 As you probably experienced yourself, hands sweat a lot when playing lacrosse during the summer. This can cause you to be distracted from the game and lower your performance. That’s why you need to get yourself a good pair of gloves made for hot weather. Below are my top recommendations for women’s gloves for summer. The Brine Fire is designed with a great understanding of the dynamics of warm weather on a lacrosse player’s hand. The gloves strike a delicate balance between providing comfort, ventilation and adequate protection. Mesh vents on the backhand allow for maximum ventilation and consequently comfort while on the go. Protection from violent checking is on the other hand guaranteed by the dual density compressed foam layer that covers the knuckles and back of the hand. Mesh gussets on the fingers enhance flexibility and air flow. Padding on the backhand is essential protection against checking. Comes with a beautiful range of colors from black, scarlet, Navy blue and pink. If what you need is a lightweight glove that offers great protection as well as nice ventilation, then the Brine silhouette is just designed for you. The glove comes with adequate venting on the palm area as well as on the backhand to enhance air circulation on a hot day. This combined with a dual-density foam positioned on the backhand to protect it from violent impact make it a strong contender for top honors in our best glove category. Comes with aesthetically pleasing colors such as red, white, scarlet, navy blue, and black. Updated design for added flexibility and protection. Mesh venting for excellent ventilation. There are not many lacrosse gloves made for youth players in the market. However, the STX made an excellent pair of gloves that your kid will love. Below is my review of the STX Stallion 50 youth gloves. The stallion 50 from STX is specially designed for young players in the sport of lacrosse. The gloves provide players with a good mix of protection, ventilation, flexibility and lightweight construction making it one of the most formidable gloves out there for youth players looking to begin in the sport. It comes with ventilated palm area as well as finger gusset which sets the stage for adequate air circulation on a really hot day on the field. The glove is constructed using strong polyester shell material that is both impact-resistant and lightweight in nature. Good sized gloves that can fit young players with small hands. Excellent ventilation even in the hottest conditions. The robust polyester material offers excellent protection from impact. Can be used for all positional play e.g. attack, defense, midfield, and face-off. If you still struggling to choose which lacrosse glove is best for you, then I’m here to help you. Leave a comment below where you explain the details of your specific situation and I promise I’ll reply with the best possible option for your exact situation. After all, I’m here to help. Here’s again my list of recommendations for all possible situations.